WANT TO WATCH THE VIDEO SUMMARY? Follow along as I answer a reader's question, "How do I lose 10 pounds?" I use the 80/20 Rule to make a Jumpstart Guide to Weight Loss that will give you the maximum amount of weight loss results with the simplest of changes. 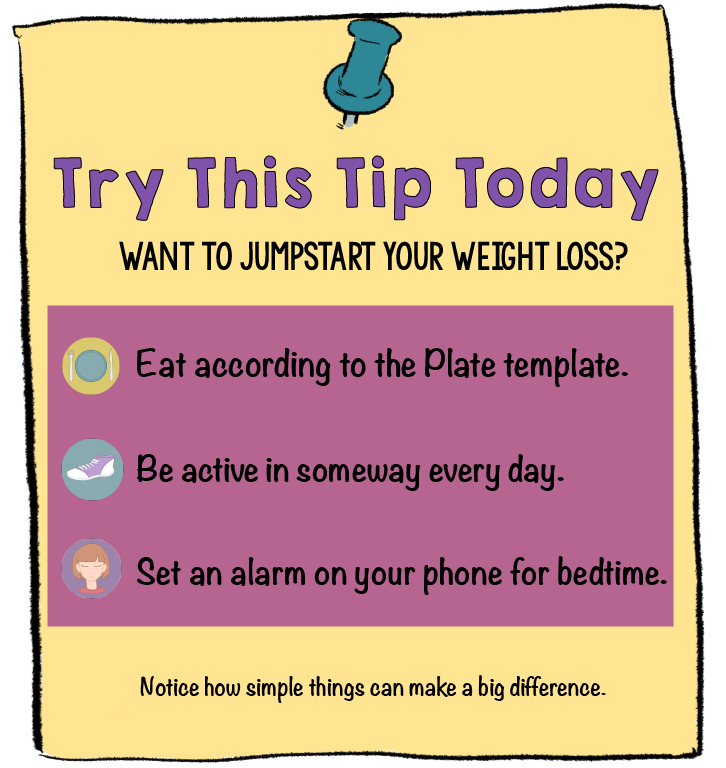 Use the Try This Tip Today (SCROLL DOWN) to jumpstart your weight loss or download the Jumpstart Guide to Weight Loss to make the 3 fundamental habit changes for weight loss. WANT TO DOWNLOAD THE JUMPSTART GUIDE? 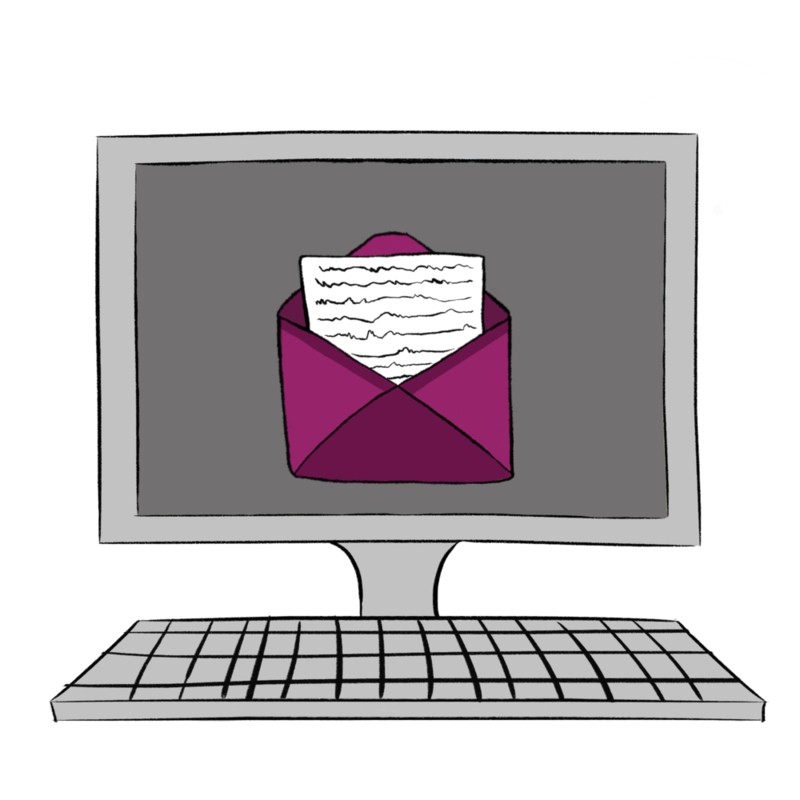 Email--How Do I Lose 10 Pounds? I got an email from a reader named Linda a couple of weeks ago asking me how to lose 10 pounds. She told me that she's lost 10 already, but the last 10 haven't come off. Besides knowing that she likes beer and doesn't want to give up that up, that’s about all I knew about her and her habits. I usually work one-on-one with clients. I’ve gotten skilled at learning what I need to know to help them in our initial consultation. I can gauge which habits they need to make in 60 minutes. But, here was a situation where I was flying blind. I considered arranging a time for us to talk on the phone, but I decided against it. Could I coach her without knowing every detail about her weight loss obstacles? Challenge Accepted! I decided to create today’s blog post for Linda and you. Follow along with me in my reply to Linda to find out the top three habits to start with to lose weight the Real Healthy Habits way. You’ve probably heard of the 80/20 Rule before. It’s called The Pareto Principle. The Pareto Principle states that for many events, roughly 80% of the effects come from 20% of the causes. Simple Foods System: Eat simple, unprocessed foods 80-95% of the time. These foods are energy-inducing, non-addictive healthy foods. Daily Activity System: Be active in some way everyday. Recovery System: Recover by sleeping 7 to 8 hours per night and managing your stress. Of course with all three systems, there are layers and ways to structure habits just for you. You can get more specific and complicated as time goes on. But remember, these are the basics that will give you 80% of your results. When starting out, try these habits first, then work on the other 20% later. One time I had a client who wanted to make his first weight loss habit to be drinking Alkaline Water. This was someone who ate fast food twice a day. It wouldn't hurt him to start drinking Alkaline water, but that’s an advanced strategy that most people don't need to make. Get fancy, only after you’ve gotten the fundamentals down. So how can you take advantage of the three habit systems?Sometimes all you need is a simple hack to get down the basics of eating, moving, and recovery. Here's my three favorite simple hacks to get you started. For eating simple, unprocessed foods 80-95% of the time use my healthy eating meal template. Most people have vegetables, protein, and a starch on their dinner plate already. Using a meal template means that you're just going to change the proportions of those foods on the plate. Lots of times, my clients don't even have to change what they're eating-- just the proportions. Eat 1/2 plate vegetables, 1/4 plate protein, and 1/4 plate starch. Losing weight doesn't have to take complicated math like calories, macros, or points. 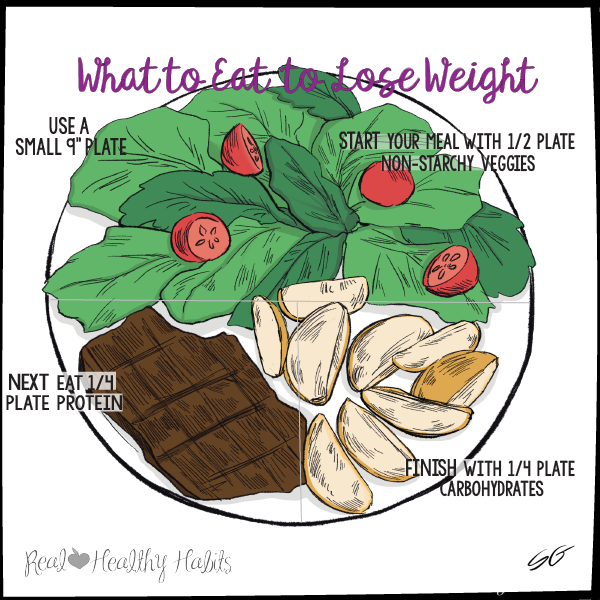 Setting up your plate like this will automatically lower your calories, lower your carbs, increase your protein, and increase your fiber without having to weigh, measure, or calculate. Looking at your plate and figuring out proportions is something that your sub-conscious Assistant part of your brain can handle. This makes it easy to do eating out, on vacation, or at holiday dinners. Set up your plate like this, and you probably don’t need to get fancier than that. Can we make exercise complicated? Of course, but when you're starting off, there are three things you should know about exercise--Start small, be active each day, and do something enjoyable (check out this blog post). Start small. If you start big when you start an exercise program, you may hurt yourself, you'll get very sore, and you'll have to use too much willpower. These would doom your exercise program the first week. Doing something daily trumps occasional heroic effort. And how do you get yourself to exercise daily? You make it easy and enjoyable. Most people enjoy walking. Start with 15 minutes of walking per day if you're just starting out. Or try this... A lot of my clients like to do the New York Times 7 Minute Workout as a first step to being active and beginning strength training. They like the 7 Minute Workout because they don’t need to change their clothes, they can do it at home, they can have their kids join in, they don’t need equipment, and they can use an app. Find a time when you could do it each day and start small. Some ladies like to do the workout right before they get in the shower or while watching TV at night. In our age of distraction, we need a plan to recover and get enough sleep. Sleep is not a luxury. It's part of Maslow’s hierarchy of needs. Along with food, water, and oxygen, we will die without it. Getting less than 7 hours of sleep can have disastrous effects on your hormones and weight. You'll have more energy and willpower to reach any of your goals (especially weight loss) if you have a full night of sleep. Sleep 7-8 hours a night. Here's a simple trick that can transform your life. Set a bedtime—for you. We count down the minutes until it's bedtime for our kids, but as adults, most of us just wait to go to bed until we get tired. Sometimes it doesn't occur to us to go to bed until a couple of hours later than we could have. You'll be amazed at how setting an alarm to go to bed makes such a huge difference in your weight loss and recovery. Once you've made these three habit changes, be sure to "Be a Scientist." Most of my clients have 3-5 major habit changes to make to lose weight and keep it off. In order to make new habits that count, you need to take a close look at what is really happening in your life. So often, the sub-conscious “Assistant” part of your brain is in charge of what you’re eating, when you’re moving, and when you’re sleeping. Most of the time, this stuff is not front and center in your brain. You aren’t fully aware of what’s actually going on. So start noticing it. Track it or review your day. If you realize what is happening when you eat right, move more, and recover better, then you can do more of that. If you realize what precipitates a bad day, you can work to set up your days to be more successful. Remember these three habit systems--Simple food system, Be active everyday system, and Recovery system-- will help you with 80% of your weight loss. You may need assistance with the other 20%. Some people can work on these three habits, and they lose all the weight they want. Other people plateau or get stuck after a while. Some people may need help getting started and need accountability. That's where I come in. As a weight loss coach, I'm an expert at identifying what habits you should make to lose weight and how to set up your habits so they work for your lifestyle, preferences, and your body. Contact me to set-up a free consultation if you'd like to finally reach your health and weight goals--for good. Want to Get Started Losing Weight? 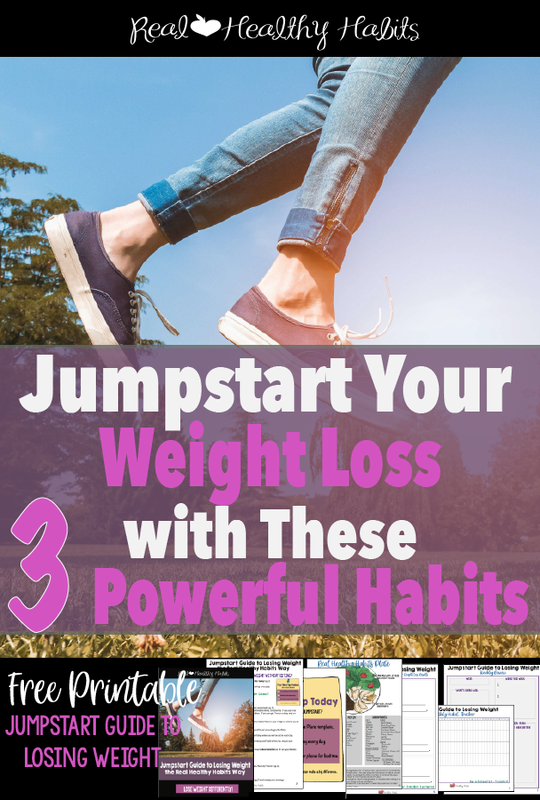 If you'd like to get started losing weight without dieting, be sure to download The Jumpstart Guide to Losing Weight the Real Healthy Habits Way below. And of course, you're invited to head over to the Real Healthy Habits Facebook page for more ideas and support. Learn the secrets to retraining your brain to put all your weight loss habits on automatic. Finally lose weight without dieting. Sign up for the 5-Day email course. You've never heard these info before! I promise that by reading these emails, it will change the way you approach weight loss forever. Not only will you have more compassion for yourself, you will also have a lot more weight loss success. It may even change how you view your whole life. Yep, It's that good. "Awesome. It really has been life changing for me in understanding myself and I've only read the first email so far!!!" "I find myself thinking about the assistant and it's helping my children make better choices with me." Sign up for the 5 Day Email Course Retrain your Brain to Lose Weight and Keep it Off--All Without Dieting. Take your first step to understanding how to lose weight without dieting and how to keep it off for the long run. Hi, I’m Treva, your weight loss coach! I'm a dietitian, personal trainer, and health coach who helps women who want to lose weight, but are done with the deprivation and disappointment of traditional dieting. I'll help you develop a weight loss habit plan that is personalized for your body, your preferences, and your lifestyle.